Hublot are one of the ultimate in luxury. The materials used, the cutting edge technology, the magnificent designs and the craftsmanship in every single Hublot timepiece is incredible. It is no wonder so many statesmen, actors, musicians, top business people and celebrities wear Hublot watches. Let’s look at some of the incredible people who have Hublot watches in their collection. Jay-Z likes his luxury. And he’s not just a brilliant musician but also a fashion and style iocn. Jay-Z has a good collection of luxury watches and these include more than one magnificent Hublot watch. 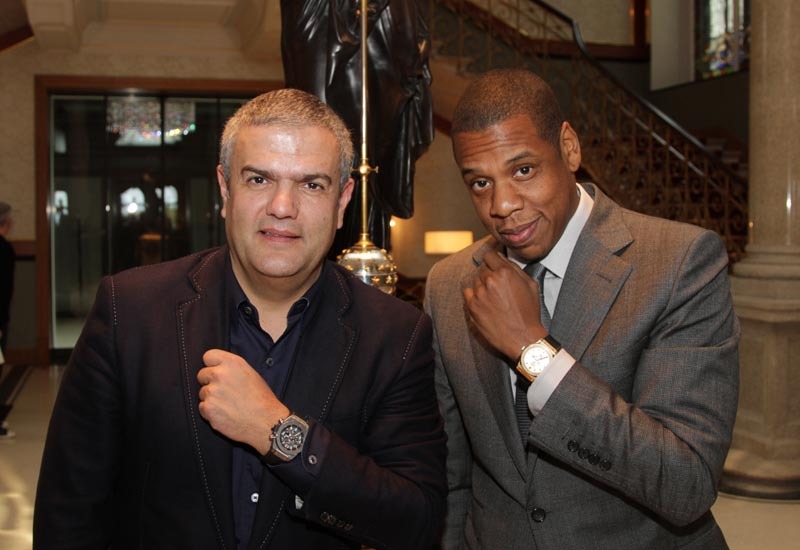 Jay Z in fact teamed up with Hublot to create the magnificent Shawn Carter by Hublot Classic Fusion timepiece. These were limited edition luxury watches that included 250 black ceramic and 100 yellow gold watches, each one more beautiful than the next. Beyonce is the biggest star of all time and she is incredible. Her music, her talent, her incredible fashion style, her strength and resilience are all remarkable. So is her luxury watch collection, as you can imagine. It was also Beyonce who skyrocketed Jay-Zs love for luxury timepieces by buying him a USD 5 million diamond-encrusted Big Bang watch. Apparently it has 1282 diamonds, which would not surprise us at all. If you are a fan of basketball and the Los Angeles Lakers then you will be a fan of Kobe Bryant. Kobe is a brand ambassador for Hublot and the Black Mamba Hublot luxury timepiece has the Laker colours of gold and purple as part of the design. The watch is athletic, strong, masculine and the ultimate in luxury timepieces. Kobe is known as a Mamba on the basketball court, hence the name of this limited edition Hublot. Athletes like strong, smart, stylish, luxurious and meticulous timepieces and clearly basketball players have their favourites. 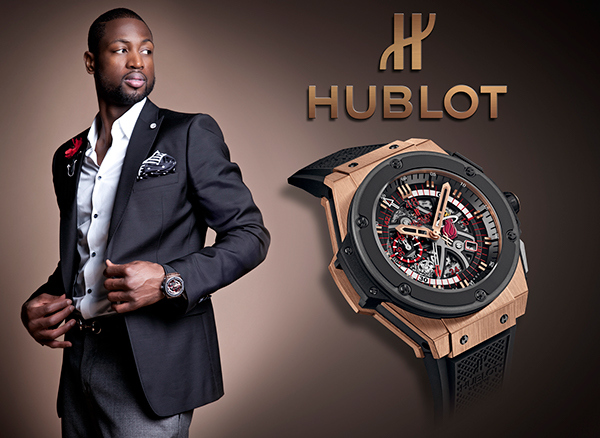 Wade plays for the Miami Heats and he partnered with Hublot for the Hublot King Power D-Wade. Proceeds of this magnificent timepiece went to the Wade World Foundation and the watch has the same colours as the Maimi Heat team. Take a look at the dial as it resembles a basketball! Of course Usain Bold wears Hublot, he needs precision, perfection and perfect technology. Hublot Big Bang is the best suit for him. He and Hublot partnered together for the King Power Usain Bolt luxury Hublot watch, and it is indeed exquisite with a black dial, black ceramic case and black nickel-plated hands. Kings and Queens and Royalty all around the world wear Hublot. Statesmen and politicians wear Hublot. Musicians and rock stars wear Hublot. It is no surprise why. 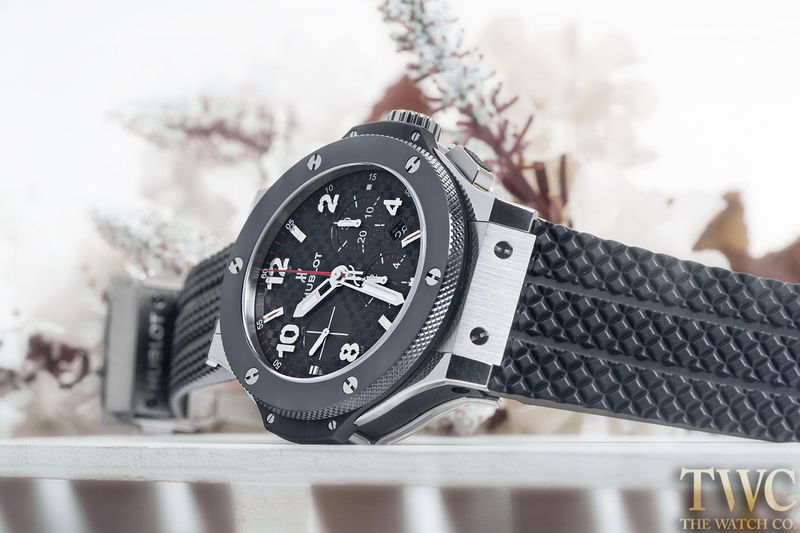 Hublot are magnificent, stylish, strong, luxurious and magnificent.